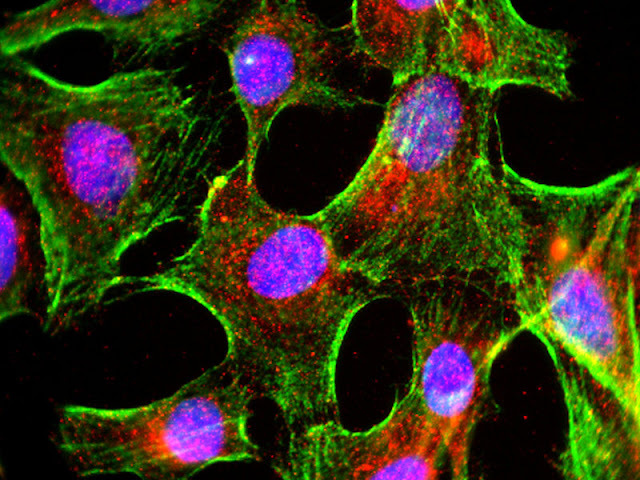 Fluorescent deconvolution micrograph of cultured glial cells expressing tau protein (in red). Glial cells are nervous system cells that provide structural support and protection for neurons (nerve cells). 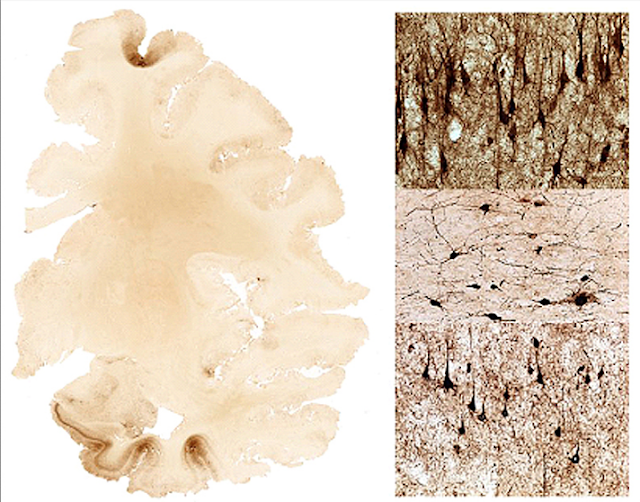 Accumulation of tau in brain tissue is linked with a number of neurodegenerative diseases, including Parkinson's disease and Alzheimer's disease. In a disappointment to Alzheimer's patients and researchers, drugmaker Eli Lilly said in late November that a clinical trial of solanezumab, an experimental medication to treat the degenerative neurological condition, had failed. 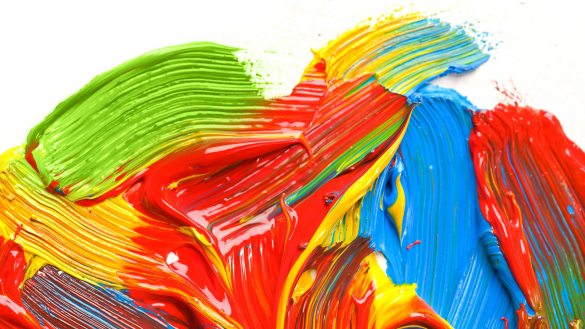 A new study shows that it may be possible to detect neurodegenerative disorders in artists before they are diagnosed. A new University of Liverpool study published today (29 December 2016) in Neuropsychology shows that it may be possible to detect neurodegenerative disorders in artists before they are diagnosed. Taking antipsychotic drugs significantly increases the risk of premature death among Alzheimer's patients, a new study indicates. A team of scientists at the University of Leicester have discovered a drug for Alzheimer's disease that not only improves the neurodegenerative symptoms but also extends the life span of terminally ill mice. 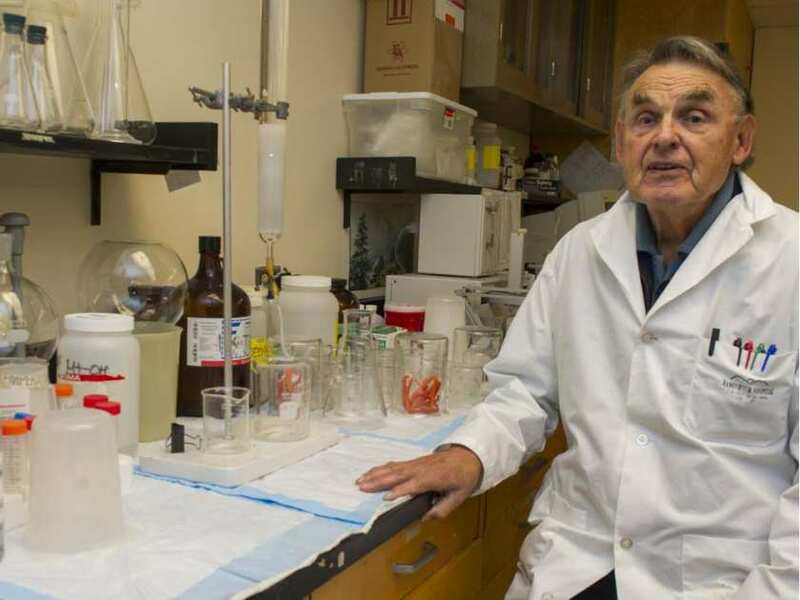 A Vancouver biotech company says it has developed a simple way to help diagnose and predict the risk of Alzheimer’s disease by measuring proteins in saliva associated with the memory-robbing illness. 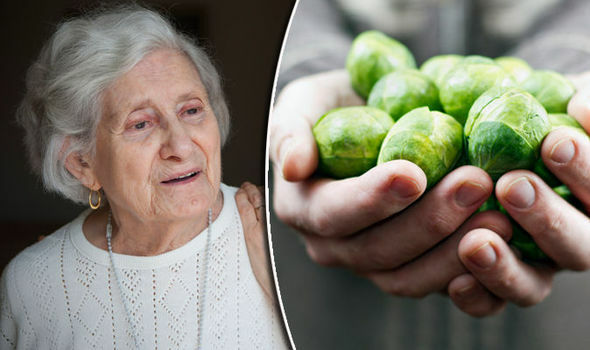 A supercharged version of the acid derived from the Christmas dinner vegetable is now the basis of new research aimed at developing a new drug to treat Alzheimer’s disease - the most common for of dementia. 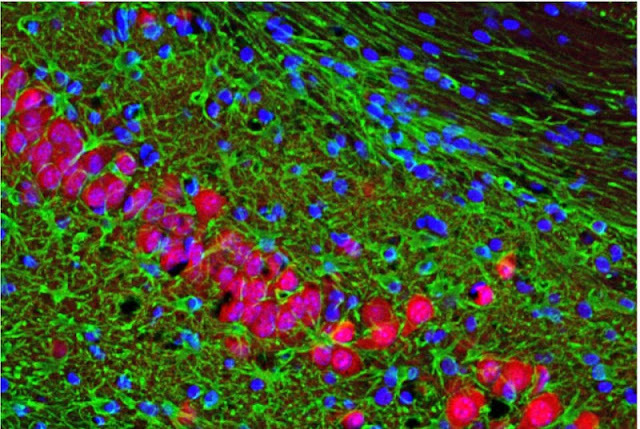 Scientists have found that the membranes covering the brain — once believed to have little influence on the workings of the organ inside — are housing stem cells. 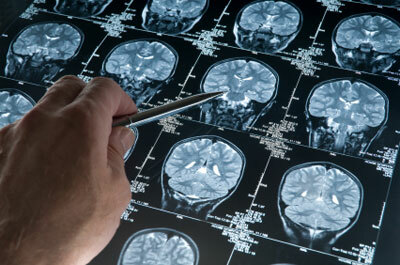 New research finding may lead to early detection of Alzheimer's disease. A team of researchers have developed a technology that could be instrumental in the early detection of Alzheimer's disease. There have been a lot of studies about the link between aluminum and Alzheimer's. 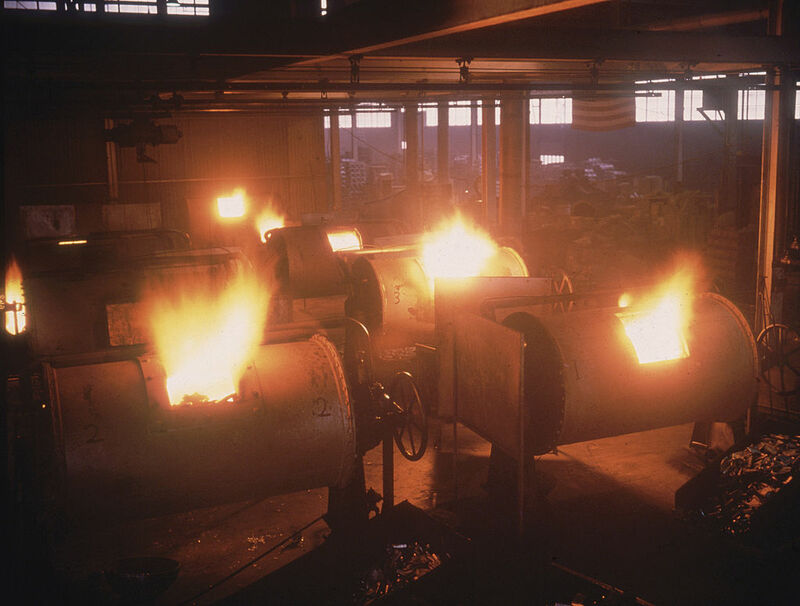 However, many scientists say the evidence is not enough to blame the metal. This time, however, a new research confirms aluminum does play a role in cognitive decline. 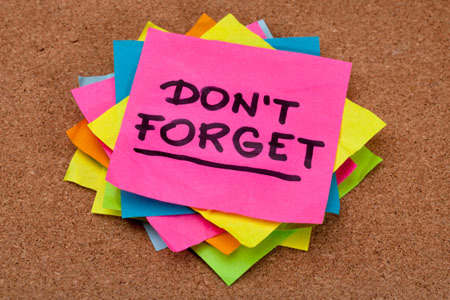 It’s easy to forget but forgetfulness is a part of life, a natural consequence of aging. 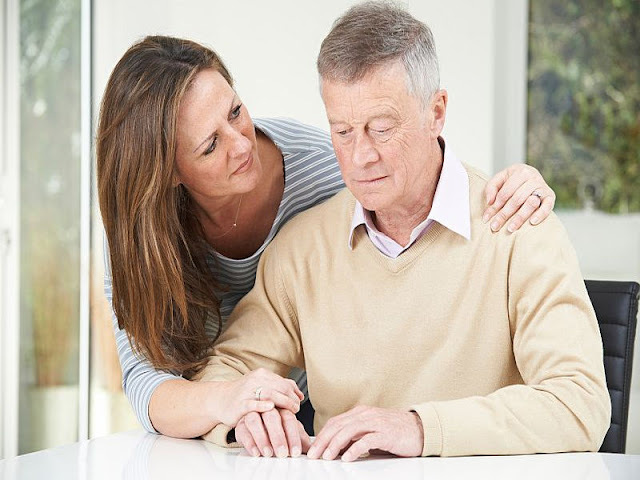 Alzheimer’s disease (AD) is characterized by the progressive decline in memory and other cognitive skills, but it is not natural. Its cause — or causes — are not fully understood, but appear to involve abnormal accumulations of protein that form plaques and tangles in the brain. 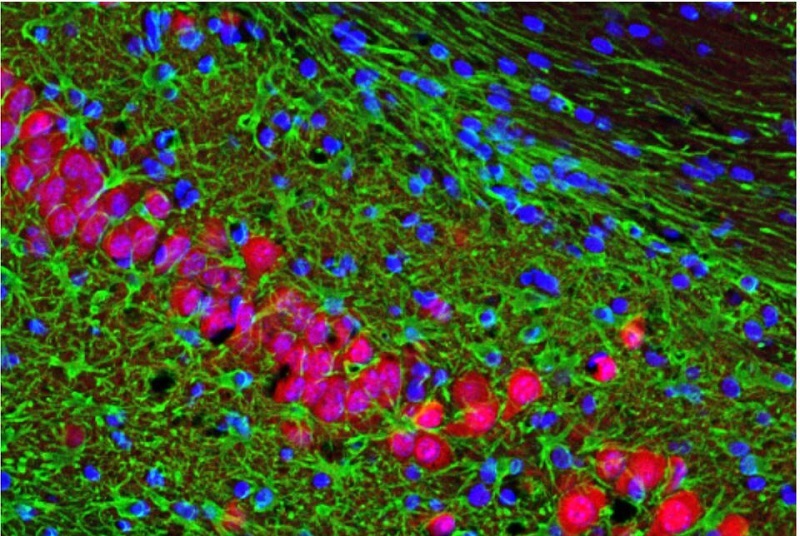 These damage nerve cells and impair brain function. 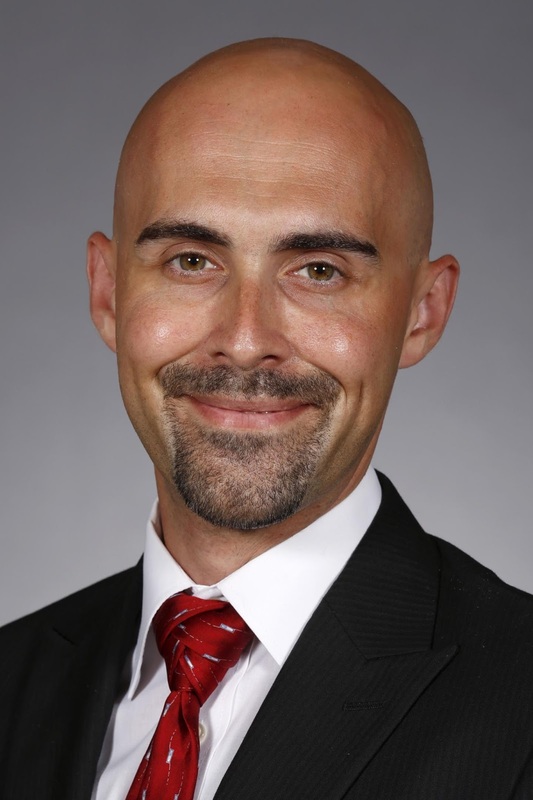 Auriel Willette is an assistant professor of food science and human nutrition. 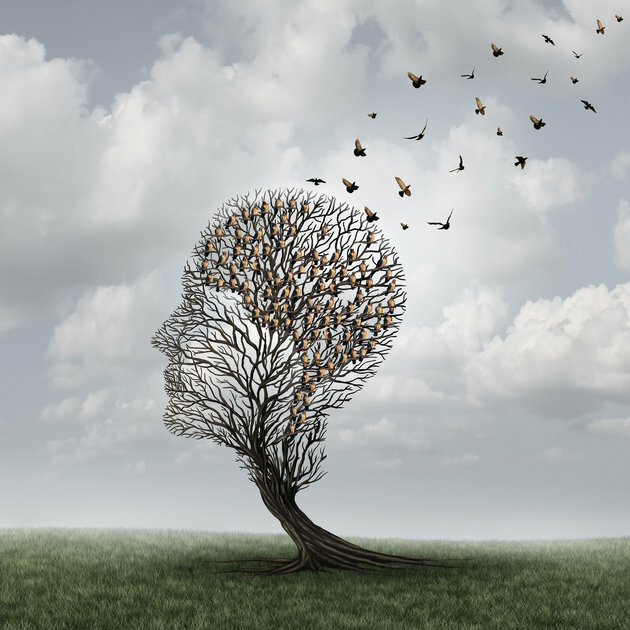 AMES, Iowa - An enzyme found in the fluid around the brain and spine is giving researchers a snapshot of what happens inside the minds of Alzheimer's patients and how that relates to cognitive decline. Can tech help Alzheimer's sufferers? I'll never forget the look of fear on my mother's face. My mother was a brilliant woman. She earned three bachelor's degrees and a and could have become a doctor if not for the rampant sexism she faced in college in the early '60s. Treatment with the antibiotic Rocephin (ceftriaxone) may restore brain function in areas affected by Alzheimer’s disease, according to new research. The holidays can be an especially challenging time for family caregivers of people with dementia or Alzheimer's disease. 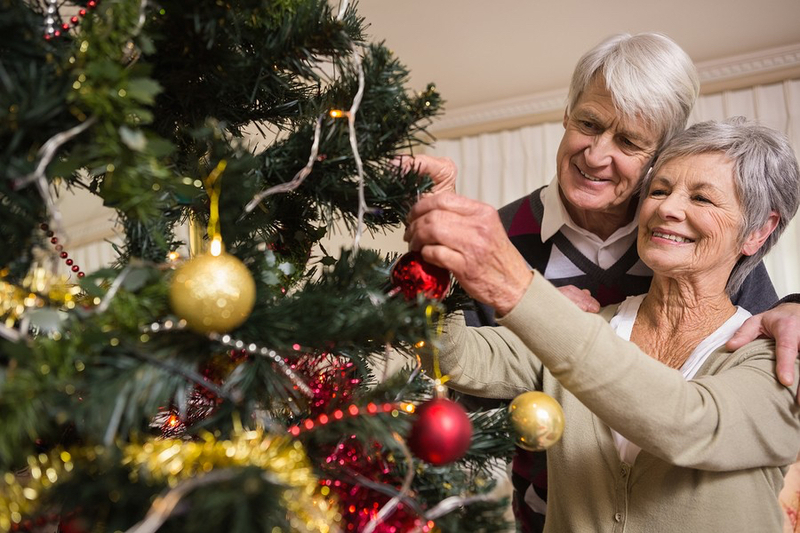 To help families navigate holiday visits, Rutgers Today spoke with Mary Catherine Lundquist, program director of Care2Caregivers, a peer counseling helpline (800-424-2494) for caregivers of people with dementia and Alzheimer's disease operated by Rutgers University Behavioral Health Care. 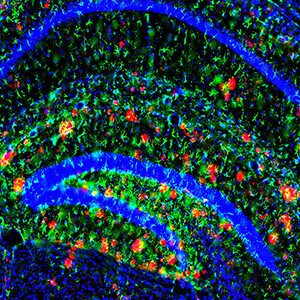 In Alzheimer's research, one particular protein looms large: plaque-forming amyloid-beta. 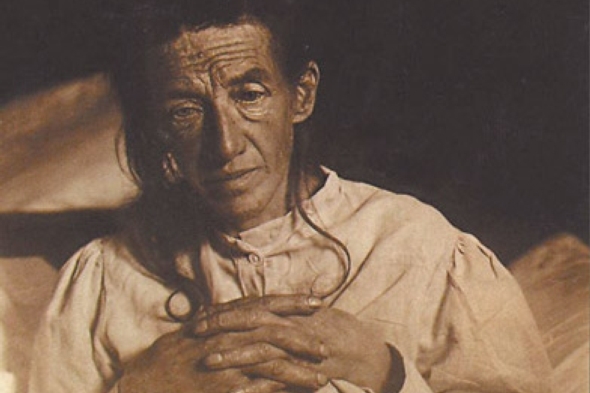 Yet doctors now recognize that plaques can accumulate decades before symptoms appear. Recent clinical trials aimed at controlling or removing amyloid-beta have largely been disappointing. Right now, a spinal fluid test can signal Alzheimer’s disease up to twenty years before clinical onset. 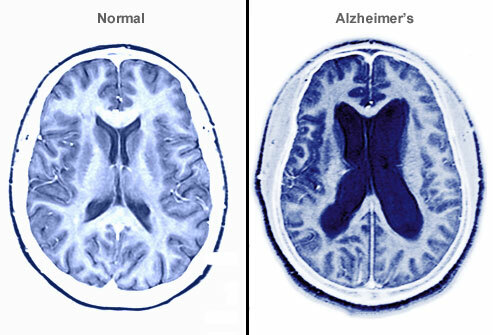 The proteins beta-amyloid and tau are established markers of Alzheimer’s, and changes in their levels may signal disease. 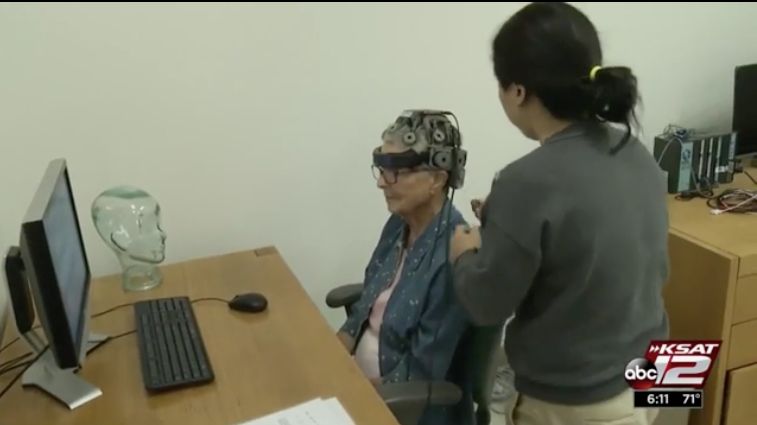 Someday, a simple test at the computer and non-invasive EEG scan may do the same thing. 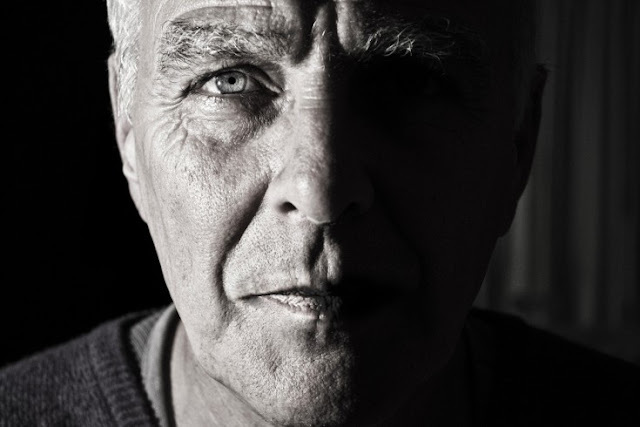 Can the eyes really provide a window into our brain health? That’s what a California-based startup and a group of neuroscientists are pinning their hopes on. 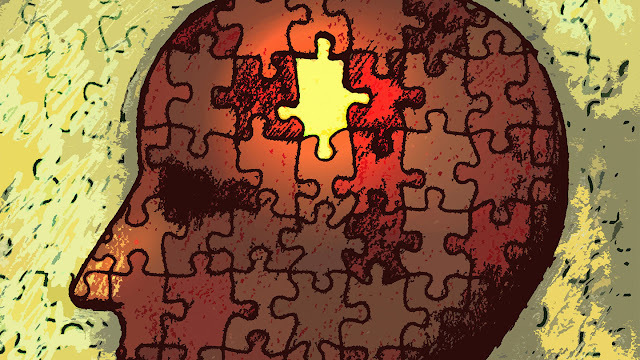 Are statins a key to preventing Alzheimer's disease? Although doctors prescribe statins to help lower cholesterol, the drugs might have an added benefit: reducing Alzheimer's disease risk. Twinkling lights aren't just pretty -- if they're flickering at a specific frequency, they could also treat Alzheimer's disease. 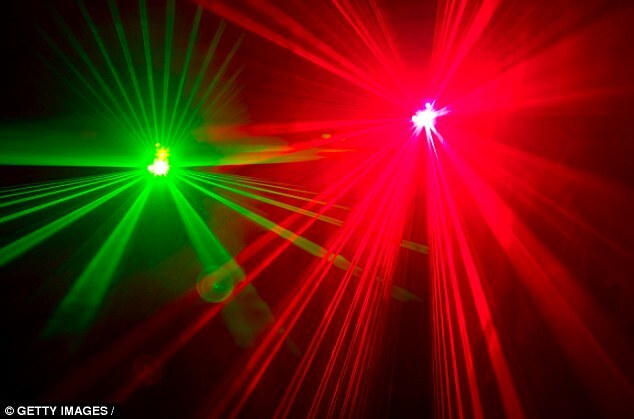 A group of researchers tested the effectiveness of LED lights flashing at 40 hertz as a treatment for Alzheimer's on mice genetically engineered to develop the condition. They found that exposing mice in the early stages of Alzheimer's to the lights for an hour lowered the protein levels in their brains. accumulates to form plaques that interfere with normal brain function. Further, when they used the same technique on mice already in the advanced stages of the disease for seven days, they found that the method "markedly reduced" the plaques in their brains. A new research study has found that the use of benzodiazepines and related drugs increases the risk of hip fracture by 43 percent in people with Alzheimer’s disease. Tiny gas bubbles, embedded in a layer of fat molecules, can turn out to be the answer to a difficulty researchers have been struggling with for decades — the delivery of drugs to the brain. The method uses ultrasound to force the drug-containing bubbles over the barrier that prevents most substances from entering the brain. When brain cells fire rhythmically and in sync, they produce waves, which are categorized by their firing frequencies. Delta waves (1.5 Hz to 4 Hz), for example, are produced during deep sleep, theta waves (4 Hz to 12 Hz) occur during running and deep meditation, and gamma waves (25 Hz to 100 Hz) are associated with excitement and concentration. Disruption of gamma waves could be a key contributor to Alzheimer’s disease pathology, according to a mouse study published today (December 7) in Nature. And the restoration of these waves, researchers propose, may one day be an option for Alzheimer’s disease treatment. The average Alzheimer’s patient is not “Still Alice,” the 50-something linguistics expert from the Academy Award-winning movie who faces a devastating diagnosis of early-onset Alzheimer’s Disease. 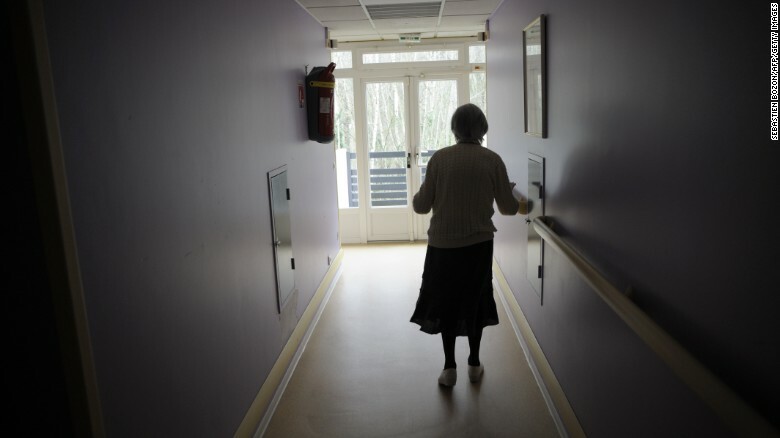 The average Alzheimer’s patient is in her late 70s, whose disease comes on more slowly than depicted in that film, says George Perry, Ph.D., dean of the College of Sciences at the University of Antonio and editor-in-chief of theJournal of Alzheimer’s Disease. A Colorado State University study found that the majority of dementia and Alzheimer’s participants experienced an unexpected reversal of cognitive decline from listening to classical music. Researchers at NEOMED have just identified a major connection between areas of the brainstem -- the ancient area that controls mood, sleep and metabolism -- and detrimental changes to in a preclinical model of Alzheimer's disease (AD). The study, titled "Early Evidence of Low Bone Density and Decreased Serotonergic Synthesis in the Dorsal Raphe of a Tauopathy Model of Alzheimer's Disease," is led by Christine Dengler-, Ph.D., assistant professor of pharmaceutical sciences, and anatomy and neurobiology, and will be published in the upcoming issue of the Journal of Alzheimer's Disease, an international multidisciplinary journal that reports progress in understanding the causes, symptoms, and treatment of Alzheimer's. Fewer than 5 percent of cases of Alzheimer's disease have a clear genetic cause, making it hard to predict who will develop the devastating brain-wasting disorder. There is an urgent need to develop biomarkers and early treatments before the symptoms of decline take hold and destroy lives. Now, using a mouse model of Alzheimer's disease, researchers discover a link between early bone loss and brain degeneration that may begin to address this need.